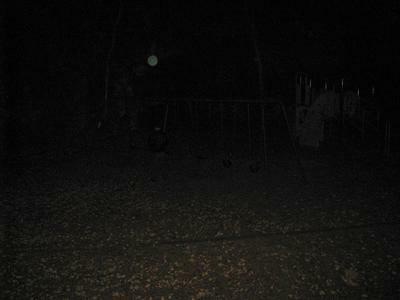 A friend of mine took about 50 pics, only about 15 had orbs in them. We also tried to debunk these orbs as dust, by taking a pic after throwing dirt and leaves in front of the camera, but were unable to create orbs in those pics. Also it was a chilly night, and we didn't see or hear any insects while we were there. Dead children's playground, aka Maple Hill park, is small playground built behind maple Hill cemetery in Huntsville, Al, which is reportedly haunted by the spirits of children buried in the cemetery.